Dr Hall was presented this international award at a luncheon at the Park Hyatt in Melbourne on 15 March. 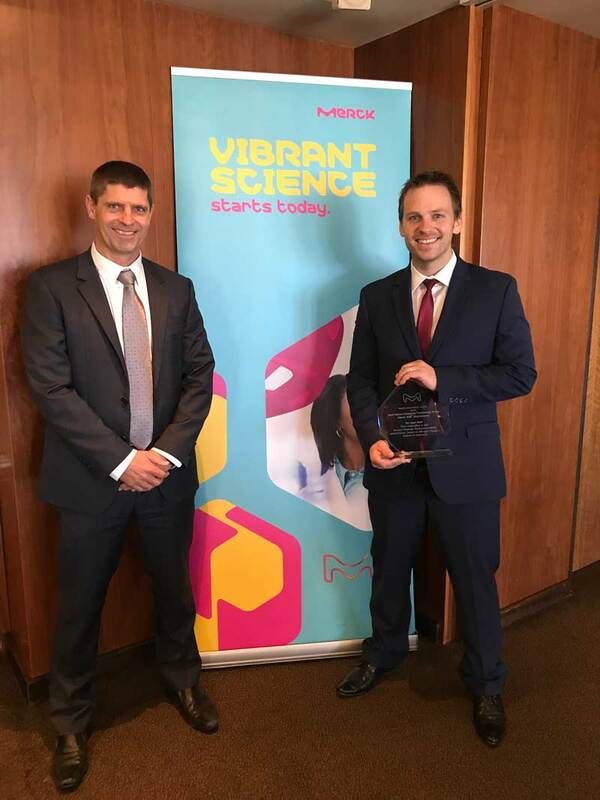 This award is a part of Merck’s 350 Research Challenges initiative, organised within the company’s 350th anniversary celebrations. Dr Hall’s ground-breaking concept monitors chemical reactions in real-time using signal-enhanced in situ Nuclear Magnetic Resonance (NMR) spectroscopy, based on Nitrogen-Vacancy Defects in Diamonds.